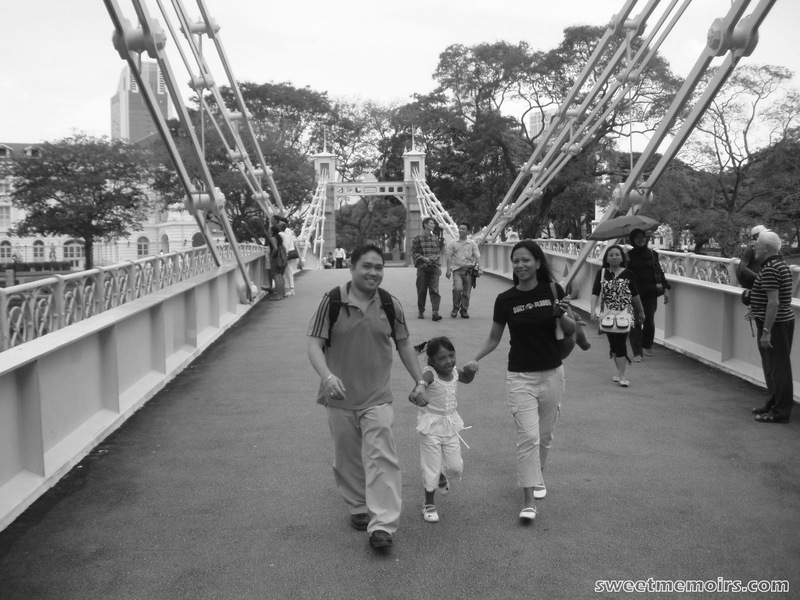 Cavenagh Bridge is the only suspension bridge and one of the oldest bridges in Singapore, spanning the lower reaches of the Singapore River in the Downtown Core. Opened in 1870 to commemorate Singapore's new Crown colony of the Straits Settlements status in 1867, it is the oldest bridge in Singapore that exists in its original form. Cavenagh Bridge is currently a pedestrian bridge (read the history here), with lighting added in the 1990s to accentuate its architectural features at nightfall. It now provides the most convenient pedestrian link between the cultural district at the north bank and the commercial district to the south of the Singapore River, and complements the renovated Fullerton Hotel(previously Fullerton Building) which is sited beside the bridge. There are numerous sculpture works near the Cavenagh Bridge, including a family of Singapura cats (kucinta or drain cats), recognised as one of the smallest breeds of cats in the world, located at the southwest abutment. classic photo of you all Che, you all look joyful and excited. I might be one of those who built this bridge. I would love to walk on that bridge! Beautiful in monochrome, Cher! Kayla was so young then! I lived in Singapore for 16 years, and is awed at the number of bridges. Kyla was still little here - cute family photo !